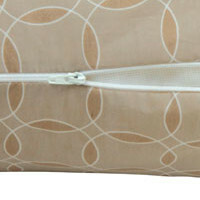 Shop wisely with product comparisons and pricing from BestPregnancyBodyPillow.com. 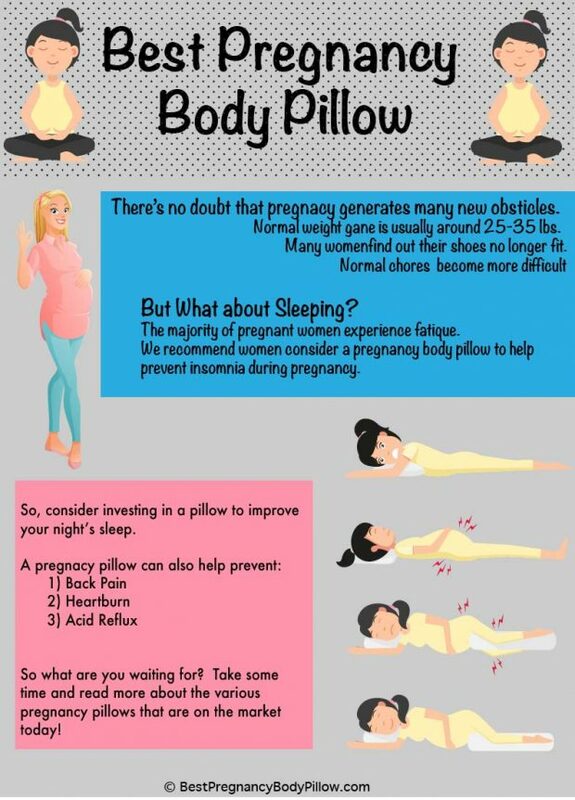 Improve your pregnancy using a pregnancy pillow! Compare the best pregnancy pillows on the market today. Find a pregnancy pillow that will bring you comfort and joy. Why Pregnant Women Need a Pregnancy Body Pillow? There’s no getting away from the fact that pregnancy is uncomfortable. In addition to the fact that you have a baby growing right there inside you, and moving about during the last stages of pregnancy, you may also experience heartburn and leg cramps. You will also probably need to get up more than once during the night to empty your bladder. Now add to this your doctor’s instructions that you must sleep on your side, and it’s no wonder that you rush to pregnancy pillow reviews for advice. Also, see this video for details. Why Pregnant Women should Sleep on Their Side? Is Sleeping on Your Left Side Better Than Sleeping on Your Right? In the past, pregnant women were always advised to sleep on their left side. One of the reasons for this was because it allowed for more efficient kidney function and therefore reduced the likelihood of swelling in the hands, ankles and feet. A second theory says that a major vein, called the ‘inferior vena cava’, is found on the right side of the spine. If it becomes compressed it can cause dizziness, fainting or even apparent breathing difficulties. Because they need to take care of more than one pressure point, some pregnancy pillows are quite large, long enough to tuck between the legs, thus supporting the lower limbs as well. They are intended to prevent you accidentally rolling over onto your back. By taking pressure away from the back, maternity pillows promote relaxation and can help to lead you into a good night’s sleep. It’s a given fact that most pregnant women will be sharing their bed with a male sleeping partner. By the time she and her distended belly are settled in bed, plus the four or five pillows she needs at various points to allow her to sleep in comfort, there’s not much room for anyone else unless the bed is unusually large. Hubby may end up sleeping on the couch. 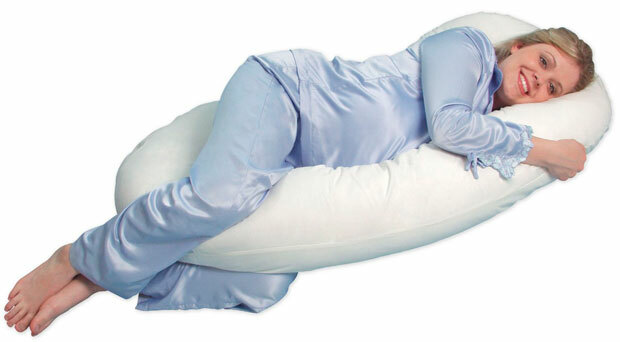 A single maternity body pillow is going to offer the same level of comfort but without the attendant bulkiness, inconvenience and even overheating and sweating. The U-shaped or horseshoe-shaped pillows don’t even need to be moved when you roll over from one side to the other, because they support you on both sides. Some pregnant women become so attached to their pregnancy pillow, and the relaxed sleep it allows them to enjoy, that they continue using them long after their baby is born. It may become a permanent feature of their bedtime routine. Even if they choose not to continue using their maternity pillow for sleeping, it still comes into its own as a breastfeeding pillow, cocooning baby in just the right position for maximum nursing comfort and concentration on the task in hand. Supporting baby on a pillow during feeds will prevent you from getting stiffness in your upper arms and shoulders.  You can also use a maternity pillow in the car if you are going to be traveling for a long distance, and a reasonably compact one should be allowed on board airplanes to support your back there as well. Allergy sufferers will want to make sure that their pregnancy pillow is made from hypoallergenic materials, and that it is resistant to mold, mildew, bacteria and dust mites. Some pillows have an extra insert to provide higher support in the earlier stages of pregnancy, when the swelling of the abdomen may be less apparent. In the third trimester, when the baby bump is much larger, this additional insert can be removed to reduce the pillow’s incline. If you plan to use your pregnancy body pillow for a long time, you’ll want to make sure that it is fully washable and will still retain its shape after laundering. Pillows in conventional shapes can be used with a washable loose cover, but the more unconventional shapes may have to be used without a removable cover, and will need cleaning more often. In this case, you may need to consider whether the color and pattern of the pillow’s outer fabric will blend well with your bedroom or nursery décor. Some body pillows have multiple sections separated by seams or joins. This allows for varying levels of firmness. For example, the best pregnancy body pillow for you may be one that has gentler support in the chest and tummy area, while the firmer bottom section can be tucked between the legs for more solid comfort. Environmentally conscious new mums may want to ensure that their pregnancy pillow is not filled with polyester but with 100% organic materials, such as wool, cotton, corn fiber or other plant-based fibers. Search for pregnancy body pillows or add your own review of a product you already own.